Where can I get my Pentacon Six or Exakta 66 serviced or repaired? Like all cameras, the Pentacon Six needs occasional servicing. Here are details of some repairers of these cameras and the lenses for them. I am pleased to be able to report that Pentacon Service in Dresden have reached agreement with a local repairer to undertake the repair, service and upgrade of Pentacon Six and Exakta 66 cameras. He has years of experience, going back to GDR times, of repairing and servicing Pentacon Six cameras. Pentacon Service will make available to him spares as required. As well as providing servicing and repairs, he will also be able to offer the upgrade of Pentacon Six (TL) and Exakta 66 Mk I cameras to the Rollei focussing screen that was supplied with the Exakta 66 Mk II and Mk III, but he will not undertake the MLU (mirror pre-release) modification, as this requires technical modifications within the camera and Herr Frenzel was the only person with the knowledge required to do this. If you wish to use this service facility, I suggest that in the first instance you contact Pentacon Service in Dresden (address below), and they will advise you whether to send your camera to them or directly to the repairer whom they have contracted. Pentacon Service continues to offer full servicing for lenses for the Pentacon Six and Exakta 66, as well as for their ranges of 35mm cameras and lenses, including the L and B series. It is with the greatest regret and sadness that I have to report that late yesterday I received the fully unexpected news that Jürgen Frenzel, the Pentacon Six and Exakta 66 specialist at Pentacon Service in Dresden has without advance warning suddenly died. He was the one person on their staff who serviced and upgraded these cameras. They are therefore having to suspend repairs and service for these cameras at the present time. They still offer a repair service for the lenses and also for other Pentacon cameras such as the Praktica series. They are trying to find another specialst workshop that they can recommend. As soon as I receive any further information on this, I will post it here. 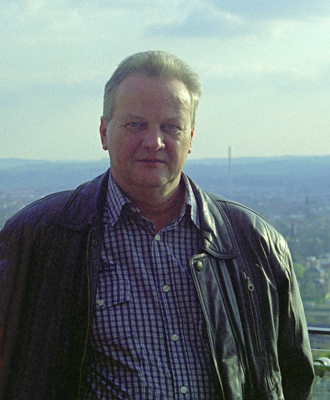 Jürgen Frenzel had worked at Pentacon in Dresden for at least 30 years. I extend my deepest sympathy to his colleagues, friends and family. Another repairer and upgrader in Germany is Rolf-Dieter Baier. http://www.baierfoto.de He speaks excellent English. Click on the link to go to his website. He likes people to contact him before sending items to him for repair or upgrade. In December 2005 Pentacon Dresden recommended Foto-Service Olbrich for more complicated lens repairs requiring an optical bench. I telephoned them, and they definitely have the equipment necessary to do this. They sound very helpful, and in February 2006 I sent them two lenses, one for repair and the other for a service. The lenses came back promptly and Herr Olbrich had done an excellent job on them for 40 Euros each + VAT + a very modest charge for shipping (a lot less than it cost me to send the lenses to them!). To see more details on one of the lenses repaired, click here and scroll down to near the bottom of the page. I have subsequently sent Olbrich other lenses, on which he has done excellent work. January 2014 I have just spoken to Herr Olbrich. He and his daughter, Andrea Schönfelder, continue to offer servicing of Pentacon Six cameras and lenses, as well as for many other models and makes of cameras and lenses. A list of other repairers in Germany can be found at http://mitglied.lycos.de/kamerageschichte/and click on the Service link. Tom Page has asked me to remove him from this website, as it is generating too much work for him! Thank you, Tom, for your decades of service to users of the Pentacon Six and other classic cameras! 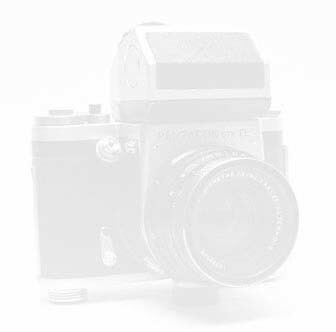 I recommend to visitors to this website who are looking for a repairer within Europe (including the UK) to contact Rolf-Dieter Baier of Baierfoto.de, Pentacon Service in Dresden (details above) or one of the other European repairers named on this page. I take all my analog Asashi Spotmatic/Pentax cameras for cleaning and service to this place and was never disapointed. The chief-in-charge of the place is Mr Tadeusz - one of the nicest and most charming men I've ever met. Prices are reasonable - as for what we earn here." Aparatfoto's website states: "Checking of the correct operation of the equipment is performed on the spot free of charge." It is always good to know of other reparairs who can service these cameras. Tfno. 93 226 71 16. I have just received the news that unfortunately this repairer can no longer service the Pentacon Six, because of lack of spare parts. However, the person who e-mailed me from Spain recommended Kameraservice Ostkreuz in Berlin (details higher up in this column). He said that the repair was speedy and the camera now functions “marvellously well”. He tells me that the repair price was also appropriate. Gevorg Vartanyan of Arax Foto in Kiev offers extensive repair facilities for Kiev cameras. However, I have just learnt (December 2010) that Arax does not repair or service Pentacon Six cameras. If you have a Kiev camera that needs repairing, don’t be put off by his location. Ukraine is proud to be part of the new, free Europe. I have had good experience in buying from him, and reports that I have seen of his service and his products have been extremely positive. Recommended. I have no personal experience of Pentacon Six repairers in the USA. However, below I give information on some repairers who have been recommended to me. This repairer obviously specialises in cameras and lenses from the former Soviet Union, including the Kiev 60 and the Kiev 88. He says that he repairs some “Pentakon” lenses (he is clearly more familiar with the Russian spelling), but he lists 80mm, 120mm and 250mm and there is no Pentacon 250mm lens – although there are of course 250mm lenses with the Pentacon Six mount. In April 2011 I saw very positive feedback on Stanislav’s work. “I sent four lenses to Stanislav for a variety of repair and internal cleaning needs. I am happy to report that his work was outstanding, and I am completely satisfied and pleased with the results. In one case he even made an older first-series Biometar look like new, which I was not expecting. I could not be happier with his work. Incidentally, Stanislav’s English is excellent, so for those of us who are only able to communicate in English, it is very easy to communicate with Stanislav and describe exactly what you would like done with your equipment. He also completed the work very quickly and I received the lenses back very, very quickly. I sent my MC Arsat 30mm f/3.5 lens to him for replacement of iris diaphragm lever and for CLA. The service was completed within three weeks, including shipping time. There are booksellers who cannot fulfill an order in this short space of a time. Stanislav specializes in cameras and lenses from the Arsenal factory in Kiev, Ukraine. He tells me that he is able to CLA Zeiss lenses for the Pentacon Six such as Biometars, Flektogons, and Sonnars. I found his name on the TRA website on the repair service page. This note is to confirm and update your data files. Please note the spelling of Stanislav Studzinskiy. Your website may have transposed the last two letters of his name. Stanislav recommends that my lens be stored with diaphragm set at f/22, apparently to relax the aperture spring. Thank you for the Pentaconsix.com website! Old Bridge See new contact details, below! The e-mail address remains as above. In December 2018 I was delighted to receive the excellent news that Leonid Treskunov is still carrying out excellent repairs. “I would like to provide a reference to Leonid Treskunov - he had helped me two times already and I am very pleased with his quality of work, communication and speed. Feedback on the repairers listed here (and any others!) is always welcome, as it helps other users. Thank you! Thank you Noel for this recommendation! For repairs in Los Angeles, you can call Ross Yerkes. “Eddie CLAed my Pentacon Six after I first obtained it and repaired it again after my tripod fell over. His work is very good, relatively inexpensive, anf fast – what more could you ask for? He also repaired the diaphragm mechanism on ny 120 mm Vega and did an internal cleaning of a cloudy Schneider Componon enlarging lens for me for only $15. Eddie’s business is located within the Photofaction camera store at 7th Avenue between President and Carroll Streets in Park Slope, Brooklyn. 'I emailed Eddy about a broken Pentacon Six and unfortunately he's no longer doing repairs. Just thought you'd like to update your website. My thanks to the visitor who sent me this information. We naturally extend our best wishes to Eddy for speedy and successful treatment. I have today been informed that Jerry Sorin has passed away. I extend my condolences to his family and other loved ones. Eddy continues to seek suitable treatment and so is still not accepting equipment for repair. We extend to him our best wishes for speedy recovery.